Permit Description: Wreck and remove west building with 1, 2 and 3 stories. No party wall to adjacent building. 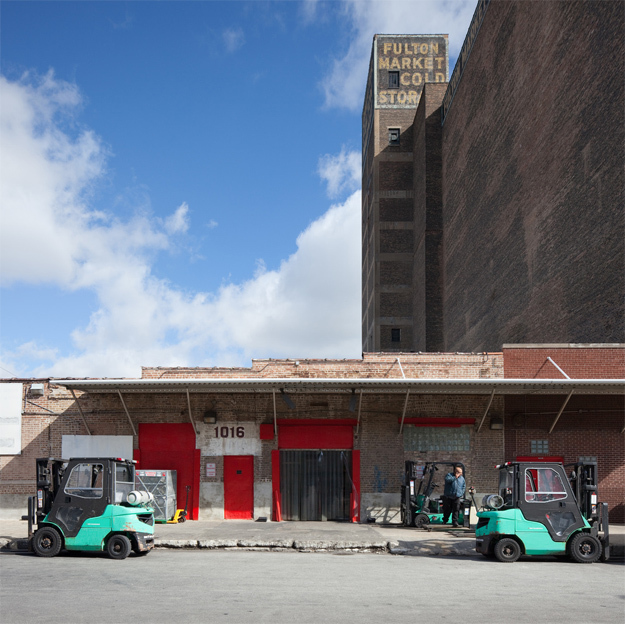 This low-slung building is being demolished as part of the 1K Fulton redevelopment of the Fulton Market Cold Storage complex. According to renderings of the redevelopment and other plans available on the project's website, the building is being demolished to make way for an entrance plaza and other new construction.